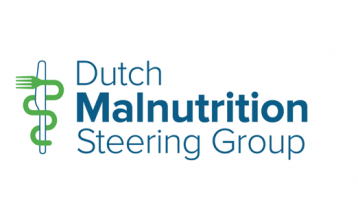 In the Netherlands, activities to prevent and treat malnutrition are conducted both on the national level, coordinated by the Dutch Malnutrition Steering Group (DMSG), and the regional level. Key characteristics of these activities are to link knowledge by bringing together available expertise from different angles and by different disciplines, to translate knowledge into practice, to disseminate knowledge, and to secure knowledge. National multidisciplinary knowledge centre for the awareness, prevention, identification and treatment of malnutrition. Initially, the DMSG focused on reducing malnutrition in institutions like hospitals, nursing homes, rehabilitation centres. More recently, at the request of the Dutch Ministry of Health, the DMSG also focuses on community-dwelling older adults and their informal caregivers. Therefore, in 2016 the DMSG started the project Healthy nutrition for healthy ageing. 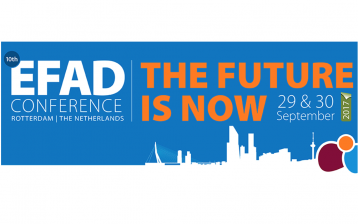 Based on outcomes of focus groups and interviews with these groups, materials that matched their needs were developed, including a website for community-dwelling older adults and their informal caregivers (www.goedgevoedouderworden.nl; in Dutch only). This website contains information about malnutrition, recipes, self-tests, and advice that can be linked to outcomes of these self-tests. To increase awareness and knowledge among formal caregivers (e.g. district nurses), dietitians were trained by the DMSG in educating formal caregivers. The project continued with the recent launch of an education expert group in malnutrition, to improve education on malnutrition in study programs of health care professionals (other than dietitians). Also, a project has been started on the treatment of nutrition-related problems in community-dwelling persons with dementia (TrEat project). 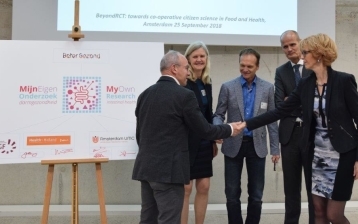 Finally, the DMSG runs a project called personal Nutrition Passport, aiming to improve nutrition care in transfer between different healthcare settings. 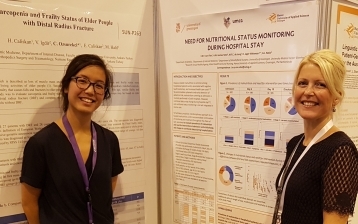 In two hospitals in the Northern Netherlands, projects are conducted to expand nutritional screening to nutritional assessment and monitoring during hospital stay, and to broaden the institutional malnutrition policy to an approach in which not only the dietitian but also other healthcare professionals are actively involved. A pilot study in the University Medical Center Groningen showed that the majority of patients (86%) who were malnourished on hospital admission, remained malnourished during hospital stay. Moreover, 31% of patients who were not malnourished on admission became malnourished during hospital stay. In addition, malnourished patients had an increased length of stay in the hospital as compared to well-nourished patients. Moreover, the regional hospital Nij Smellinghe has renewed its malnutrition policy to facilitate prevention and treatment of malnutrition and its risk factors, using a multidisciplinary approach. This policy is currently being implemented and will be evaluated, taking into account applicability, including ‘community readiness’, and cost-effectiveness.